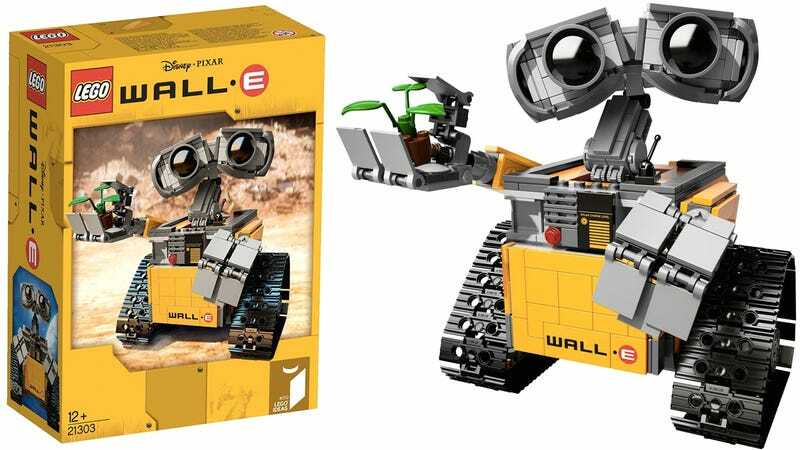 Back in February, Lego announced that it would be putting Angus MacLane’s WALL•E Lego Ideas model into production. Which is fitting, because Angus is actually a Pixar animator who worked on the film. And today, courtesy of the SmythsToys website, we might finally have our first look at the official Lego version of WALL•E. There’s a chance these images might be fake, created to serve as placeholders on the SmythsToys website until the real set is eventually released. But that CG Lego model of WALL•E doesn’t appear anywhere else online according to Google image search. And it’s doubtful that a toy store adding countless items to its catalog every day is going to go to that much trouble to create a placeholder image. So we have every reason to believe these are legit. Angus’ take on WALL•E that he submitted to Lego Ideas was already adorable, but somehow Lego’s official builders have managed to make the robot even cuter. It’s all in those eyes.